At Race City Roofing, we recognize how important it is for you to have a solid roof over your head to protect you and your family from wind, rain, and other outside elements. 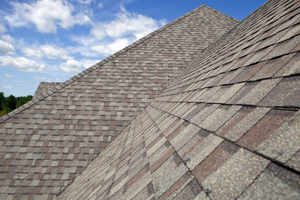 We have been providing quality roof installation and repair to the Lake Norman, North Carolina area for more than 20 years. We are one of the first and only roofing contractors in the area to offer a lifetime warranty on labor, as well as extensive warranties on materials. We have a 25-year record of 100% customer satisfaction and an A+ rating on Angie’s List! Our roofing services include metal roofing, flat roofing, complex roofing, roof coatings, roof shingles, rubber roofs, houseboat roofing, dock roof repair and replacement, new construction roofing, new roof designs, roof repair from damage caused by hail or wind, dock roof replacement, and much more. We can handle any residential or commercial roofing project. We promise to never try to sell you products or services you don’t need. We will always provide you with nothing but exceptional customer service and peace of mind in knowing your roofing job will be done by experienced professionals and with high-quality materials that will stand the test of time. Someone is available to answer our phones 24 hours a day, so whenever you need us, we’ll be there! Race City Roofing is a proud member of the Better Business Bureau, an Owens Corning preferred contractor, and a GAF ELK certified weather stopper. We accept all major credit cards, including Visa, American Express, MasterCard, and Discover, and we will work with most insurance. We serve the entire Lake Norman area, including Mooresville, Cornelius, Huntersville, Denver, Troutman, Statesville, Charlotte, and any area within a 50 mile radius after a storm. Contact us today for a free roof replacement consultation or a free estimate on any roofing job—we are the roofing solution for Lake Norman! For high-quality roof repair or replacement in the Lake Norman, North Carolina area, visit us at Race City Roofing. We have a lifetime labor warranty!